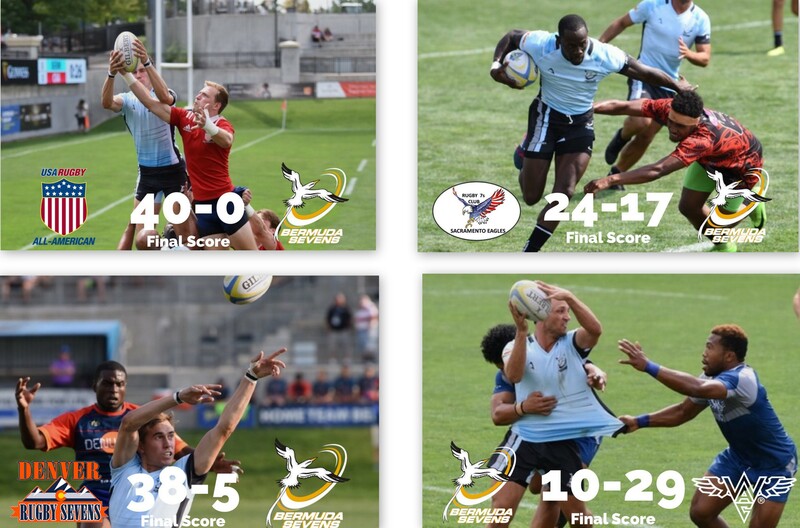 Bermuda’s National Men’s Rugby Sevens Team did not enjoyed their fifth appearance at the RugbyTown 7’s in Glendale, Colorado. The team played a total of four games, going down 4 times. Bermuda would manage only 32 points, but they gave up 131 points. They averaged conceding 33 points per game, while scoring an average of 8 points. Bermuda Sqaud: Tashon DeSilva (Captain), Jamie Baum, Alex Brown, Corey Boyce, Aldo Campbell, Dan Cole, Ehron Enyedy, Tom Healy, Bertie Horsefield, Antonio Perinchief-Leader, Eric Soto and Stephan Smit.